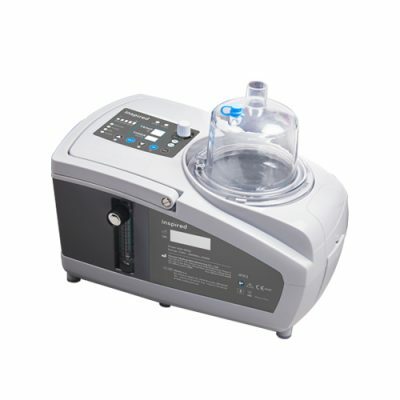 ● Oxygen supply can be connected to the device allowing oxygen concentration to be delivered during nebulization treatment. The mix of oxygen can also be adjusted. ● Our heater wire delivery tube with temperature sensor allows both heater and temperature control of air / aerosol delivery. ● Patented adjustable positive end expiratory pressure (PEEP) valve (prevent or remediate the CO2 retention). ● Large volume chamber to produce high quantity of aerosol. ● 1.7MHz high frequency ultrasonic inducer capable of generating aerosol of particle diameter 1-5μm. ● Humidification enhances better sputum removal. ● Compatible with most ventilators. This content is only available to logged in distributors, please login here.